Science series. Horizon meets the scientists who are attempting to piece together why we age and more vitally for all of us, what we can do to prevent it. Don’t Grow Old: Why do we Age? This field of study is relatively new and each of us has a different opinion of what is old; will there be an answer, or even a cure, for the ageing process? 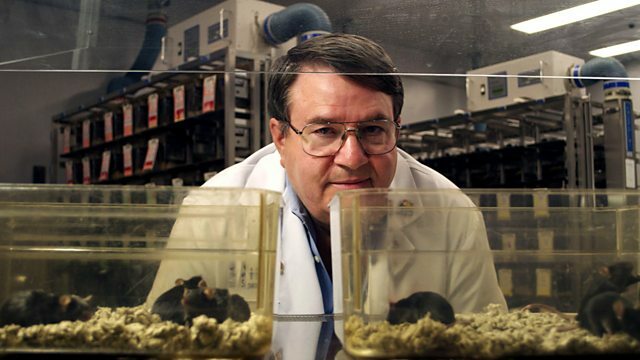 A couple are experimenting to see if a calorie restricted diet can help them live longer; an experiment that has worked on mice for over eighty years. Two different professors are trying to prove that oxidative stress can cause people to age. However, their findings were not what they, or the anti-oxidant businesses, hoped for. Dr Bill Andrews has worked all his life to see if it is possible to stop the ageing process. He may be one step closer after finding out what he believes to be the cause of ageing. Josiah is 5 years old and he suffers from a premature ageing disease which may prove Bill Andrews’ theory correct, although other experts don’t agree. Studies of a certain group of long-living people examine how much the age of someone has to do with their genes, and how much it has to do with their lifestyle. Professor Ellen Langer tried to determine if age was a case of mind over matter by taking a group of over 75s and forcing them to live as if it was 20 years previous to see if they acted younger. Is there a way to cheat the ageing process? Or does it simply come down to your genetic make-up?